New Three Day Format! Same Amazing Research. This is going to be a very personal way to learn the Gottman method up close. We only allow a limited number of registrations to improve the learning potential and create community at the same time. You will be learning from seasoned masters of the Gottman method, who have developed their entire practice around this researched based Approach. You will be able to see first hand how their practice has incorporated the method and created a brand that works. During the Practicum workshop, participants will examine videotaped cases of couples brought in by workshop colleagues. These cases are used as learning and teaching tools to deepen your understanding of when and how to use various Gottman Method approaches and interventions, and how to break destructive patterns and replace them with meaningful interactions. Lawrence or Darren will then demonstrates an assessment or intervention appropriate for that couple’s struggle as role-played by audience volunteers. These demonstrations represent the true resistances and co-morbidities we face as therapists and how we can transform them into effective healing methods for the couple. Following each demonstration, participants have the chance to practice and refine their use of Gottman Method Couples Therapy through participation in role-plays, demonstrations and discussions in a small group setting. Darren and Lawrence and select Senior Certified Gottman Therapists observe each group and offer practical tips and technical refinements for the therapist. No criticism or negative judgment is allowed. Rather, efforts are made to create safety and security for all therapists present in an environment free of criticism and negative judgment. After each role-play session, Darren Wilk or Lawrence Stoyanowski will lead discussions that include case consultations and nuanced details of the techniques previously demonstrated and provide guidance in developing a roadmap for clinical decisions. There is no better way to learn how to apply the Gottman Method than this workshop. Participants are asked to bring a short (ten minute or so) video segment (on DVD or USB thumb drive) of difficult and challenging couples to the Level 3 workshop. The therapist’s work with the couple will not be critiqued; in fact the video does not even need to show the therapist; just seeing the couple is all that is needed. The purpose will be to use these couples to illustrate how the Gottman Method can be applied to these tough cases. Darren and Lawrence will describe how they would treat these couples and then participants from the audience will volunteer to role play these couples with Darren and Lawrence demonstrating using a variety of interventions with these couples. Participants will then have the opportunity to practice using these interventions in a supportive small group setting with other participants’ role playing the couples from the videos. Please email “+link+” and ask for the application to be emailed to you. You are encouraged to submit your application to the Certification Track before attending the Level 3 Live Workshop, so that you’ll be able to begin your consultation shortly after the Level 3 training. Many clinicians wonder what characteristics the most successful Certification Practicum (Certification Track) applicants possess. After our first decade of training therapists throughout the world, The Gottman Institute has identified several key indicators that may be helpful in determining your personal readiness. *If you choose the Level 1 and Level 2 Home-Study option, we must receive your Assessment of Knowledge for each level no later than April 1 for Vancouver and May 1st for Calgary. To become a Certified Gottman Therapist, you must apply to the Certification Track, complete Consultation (Part B) and pass the Post-Consultation Video Review (Part C) after attending the Level 3 Workshop. Clinicians in the Consultation Track will be matched individually or in small groups with a Gottman Consultant. 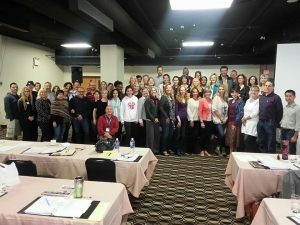 Following the Level 3 Certification Practicum workshop, Senior Certified Gottman Therapists provide participants with a minimum of eight individual or twelve group phone consultations over a period of up to two years in order to guide them in applying the Gottman Method with their couples. There is ample opportunity to ask questions and receive input about all phases of working with couples, from assessment and treatment planning through selecting and implementing appropriate interventions selected specifically for clients’ unique needs. Consultants provide feedback on video tapes of therapy sessions and assist the therapist in becoming proficient in the core intervention skills necessary for certification. Consultants are assigned after the Level 3 workshop. Consultation usually takes place over the phone. A minimum of eight hours of individual consultation or twelve hours of group consultation is needed to complete certification requirements, but the Consultant may determine that more consultation is necessary in order for a Consultee to meet Certification requirements. The Consultant must review a minimum of three video segments. Fees for Consultation are additional and will be paid directly to your Consultant. There are no continuing education credits available for consultation. Once the Consultant is satisfied with the Consultee’s work, the Consultee can submit videos of his or her work for Final Video Review. The videos must show the Consultee performing six specified assessments and interventions with couples from the Consultee’s practice. The videos will be reviewed by one or more Senior Certified Gottman Therapists. A Consultee can re-submit videos up to two times, if they do not pass all six videos on the first submission. Passing video submission then leads to Certification, which and is a recognized demonstration of competence to the public and professional colleagues. It allows you to advertise yourself as a Certified Gottman Therapist and teach Gottman-sponsored workshops, plus many other benefits. More information about the Consultation and Certification process will be provided during the Level 3 workshop. Questions? Please contact Laura Heck or call 206-523-9042 x 102. Find out what participants think of our Gottman training workshops. Even though it is easy to lose hope in finding a way out, there is light at the end of the tunnel. Our job is to help you find it. Talk to a certified marriage counsellor today!